I was introduced to the world of sailing through a former girlfriend’s family. We sailed the Med for 10 years aboard their schooner. Their captain, Simon, eventually became my captain. My first boat was the 1939 John Alden 18.3 metre ketch Delfino that I bought from my father; it took me six years to complete the restoration. My best advice for anyone considering a restoration is to drink a lot! 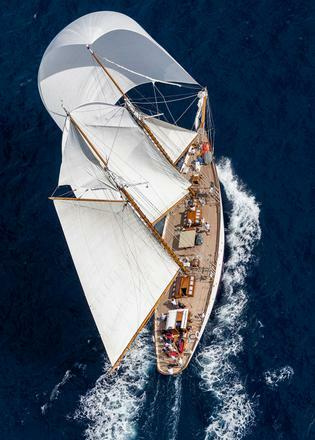 I swapped Delfino for Orianda, a 25.9 metre staysail schooner launched in 1937, and then about three years ago I bought the 1930 38.1 metre schooner Puritan. For the past 15 years I have been using a shipyard on the Tiber in Rome. 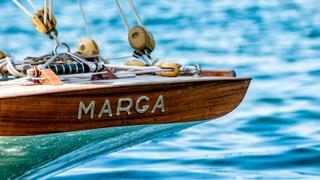 I have since added Marga, a 1910 15.5 metre gaff cutter that did the 1912 Olympics; she’s my race boat. We restored her to her exact specifications, keeping 30 per cent of the original boat. It was a seven year restoration project with two years spent just on research. I charter Puritan and Orianda because it seems shameful to have them sit in the yard when I am not using them. Currently I am restoring the first 10 Metre, 1907 Astarte, and the 10 Metre Tonino, built for the King of Spain. 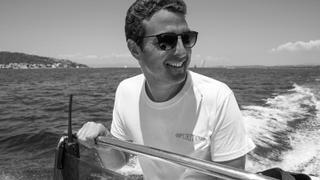 My goal is to create a [new] 10 Metre Class, a one design, independent series, and open up ownership to young people. My core guys have been with me for years. In a world where everyone wants to be in a corporate environment, I find the artisans working on these boats to be happier because they are valued for their skill and vision. I employ a resident artist to depict the daily life in the shipyard. Maybe because I don’t have family I save things, and the people who operate these things become my extended family. Marga did seven regattas last year. We had an amazing Les Voiles de Saint-Tropez with big winds and big seas. We have been racing for three years now and our competent crew has the boat tuned like a fine violin. Puritan makes me more of an explorer. Every time I get on board I think this has got to be the best, the best sunset, the best sail; over the years you collect so many magic moments. 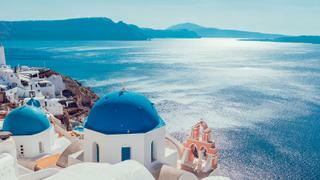 I love Greece and I like to dream I am back in time when there were fewer boats on the water. On board I enjoy reading books like Robin Knox-Johnston’s A World of My Own. These stories of real resilience make me really realise how insignificant I am.